Penalties for methamphetamine offenses have been established as some of the harshest for all drug crimes. New York state legislators and our courts have recognized meth as a major problem not only for the damage it does to users but for its ties to Mexican drug cartels. The damage to users is real and conclusive, and we do not want people using or selling meth in our communities. However, we want everyone accused of a drug crime to get the second chance and opportunity for help they need. If you have been arrested for methamphetamine possession, sale or trafficking charges in the NYC metro area, you need proven defense counsel and we may be able to help. Although we recognize that some people see crystal meth as a social or party drug, our laws and courts treat it as a genuine social danger. People arrested for meth crimes — including possession of materials believed to be for meth manufacture — face felony charges that can bring long jail terms, huge fines and other crippling consequences. If you were arrested for bringing methamphetamine into New York, or your drug activities came to light in a government investigation, you will likely need defense in federal court. Our New York City methamphetamine charge attorneys have handled numerous federal cases, where the case against you is likely to be strong and well prepared. If you have been wrongfully accused of a drug crime involving meth, contact our lawyers for active, focused defense representation. 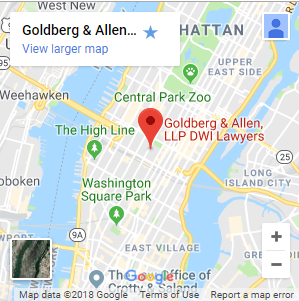 If you have made a mistake and want help minimizing the consequences and seeking as manageable an outcome as possible, you can turn to us at Goldberg & Allen for guidance and action targeting these goals. 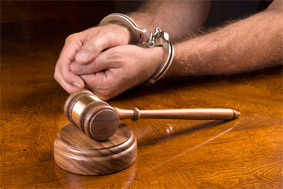 Please call or email us today to request a consultation on your drug case.